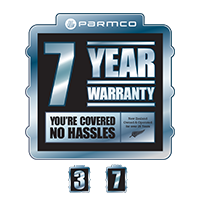 Parmco has you covered - up to 7 years warranty on most products at no extra cost! This is our promise to you that we are standing by the quality of our products. Parmco products are designed in Europe and bring you the best of the latest global technologies and trends. Our products are designed for life and made for Kiwi homes. With service agents throughout New Zealand, at Parmco we're always ready to go the extra mile to ensure that you are happy with your purchase. I have had the pleasure of using Parmco appliances for a couple of years now and am extremely happy with the service and quality. I find the oven is quick to temperature and holds it well, helping me create fantastic meals with total control. Thanks Parmco! Parmco's selection was by far the best ... we are stoked with our choice! We hunted high and low for a gas hob to retrofit into the kitchen when we moved house. Parmco's selection was by far the best and we are stoked with our choice. It's reliable when cooking for a household of 5, super easy to clean and best of all it looks fantastic without the expense! Parmco - proud supporter of Surf Life Saving Club Omanu Beach. Large 70 Litre internal capacity stoves in a range of styles and colours. 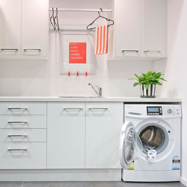 European inspired kitchen and laundry appliances, designed with the features that New Zealanders use on a daily basis. Parmco is the largest wholly New Zealand owned and operated kitchen appliance brand with more than 25 years experience delivering home appliances for Kiwi consumers. LOOKING FOR SOME INSPIRATION IN THE KITCHEN...? Or the latest trends in kitchen and laundry appliances? 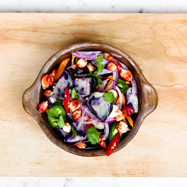 With aspiring Kiwi chef's at home in mind, we have put together a collection of recipes provided by Masterchef Brett McGreggor as well as a few designer trends in kitchen and laundry appliances to inspire you.